Create beautiful handmade Christmas Cards to give to friends and family this holiday season. An easy DIY craft tutorial idea. Do you make handmade Christmas cards to send to friends and family? It usually takes a lot of time but something that I really enjoy doing. My cards this year look very fancy with all of the layers and pearls, but it was actually very easy to do. I hope you enjoy this Christmas Card tutorial so you can make your own too! Supplies Used: Affiliate links below may be too similar items when exact items couldn’t be found online. 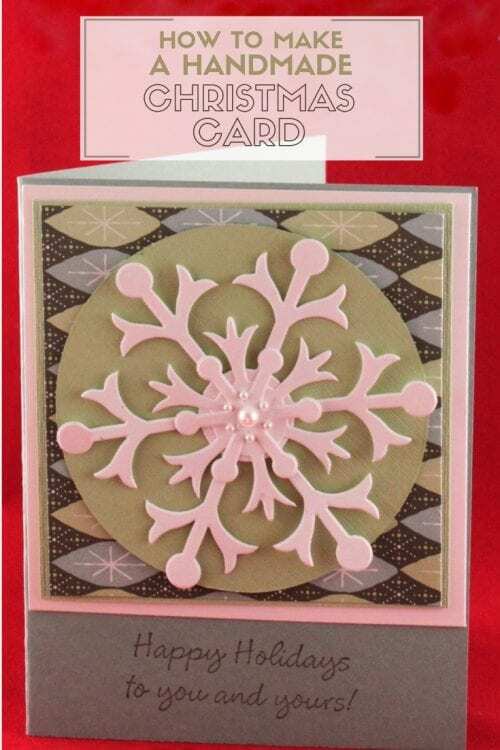 I started with the Sizzix Bigz Snow Flurry Die . It cuts 3 different sizes of snowflakes. I layered them and added Basic Pearls to the center. 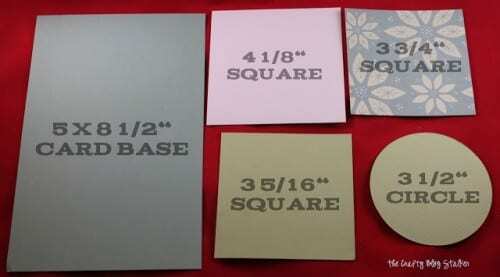 I found a similar die online, it’s Snowflake Sizzix Die. For the card, I cut the following layers. Then layered all of the pieces together. Have you made your Christmas Cards yet? Share and leave a comment below. 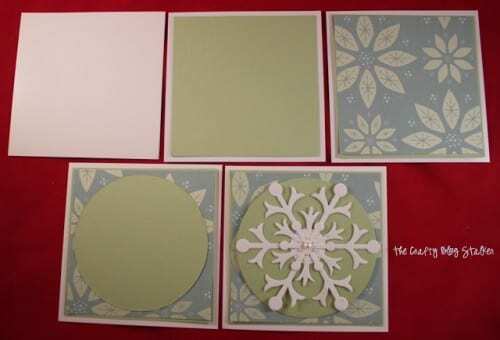 SAVE HOW TO MAKE A HANDMADE CHRISTMAS CARD TO YOUR FAVORITE DIY PINTEREST BOARD! I love your cards ( and know exactly how you feel…I need to finish mine up). Talking tags?! Shut the front door!